Coming out is a recurring theme, from Caroline Bird’s witty opening poem Dive Bar, to Dean Atta’s How To Come Out as Gay, which concludes the book. 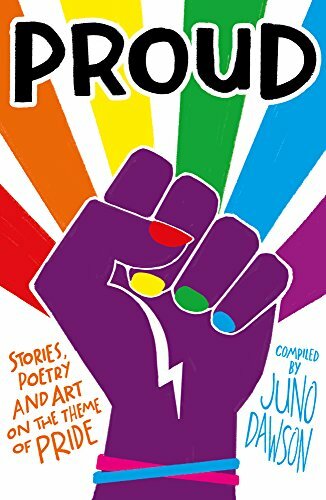 For many of the characters it isn’t easy, and help comes from, among other things, gay penguins in a zoo, a phoenix, the owner of a record shop, a somewhat eccentric driving instructor, even Lady Gaga via the Philadelphia Queer Youth Choir – a list that gives a good indication of the sheer variety of the stories included. Communities play a major role in stories of those choosing new identities too, be that the gay football team or the Dungeons and Dragons players eager to subvert the school’s binary rules for one of their friends. Offered these affecting, honest, sensitively written stories, all readers will close the book with a sense of optimism, hope and yes, pride, in young people and the world they are making for themselves.